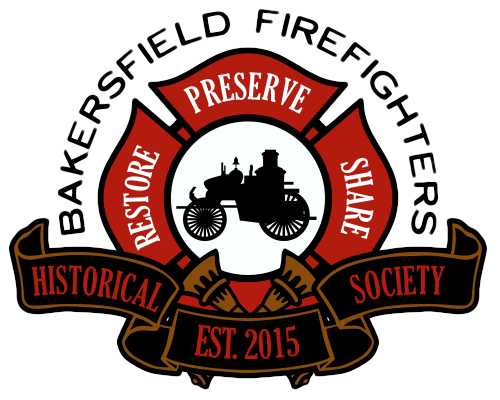 The Bakersfield Firefighters Historical Society will be constructing a 2,400 square foot restaurant space that will be available for lease. This location will be on the south east corner of the building right next door to the Fox Theaters front doors. Along with the 2,400 square foot floor space, the alley between the Fox Theater and our building will be shut down and converted into outdoor seating for additional patrons to dine. 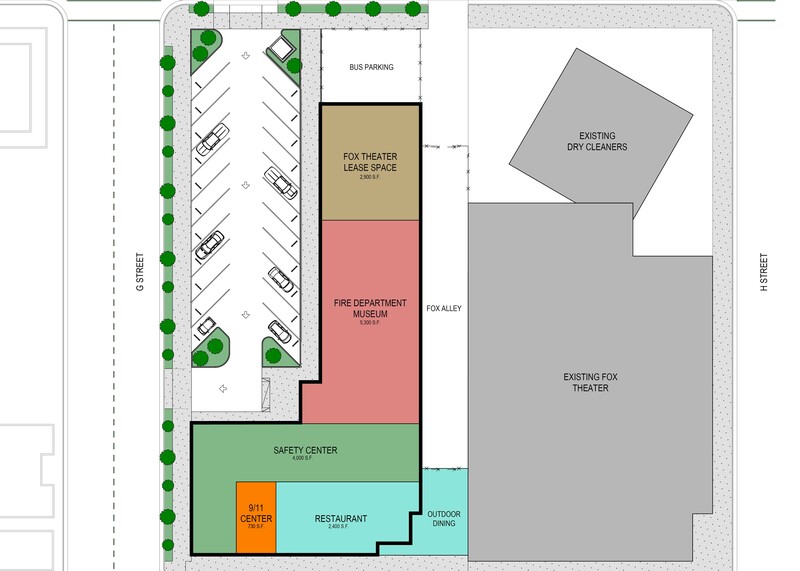 The BFHS is currently seeking interested restaurant owners to lease this space. For more information about leasing the space, please click here. 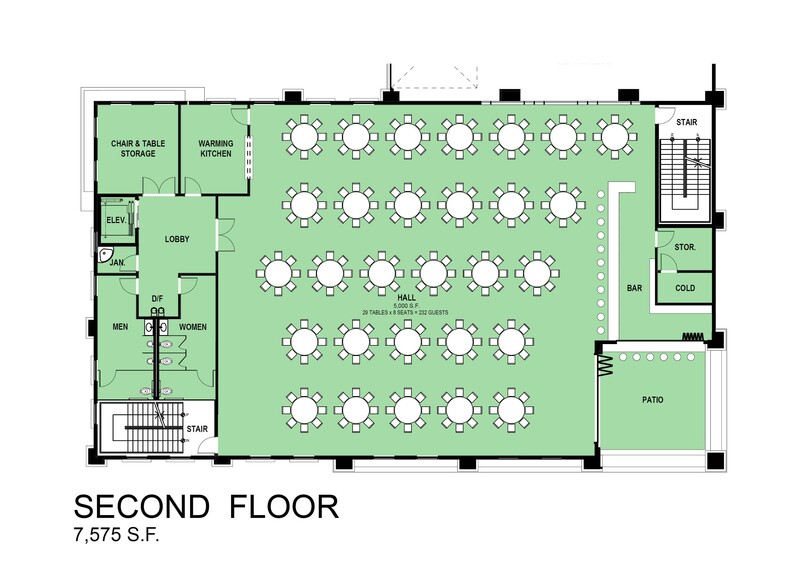 The Bakersfield Fire Museum will also include a 5,000 square foot event center on the second floor, which will allow for potential catering opportunities. This event center will be available for rentals for anything from conferences to wedding receptions. 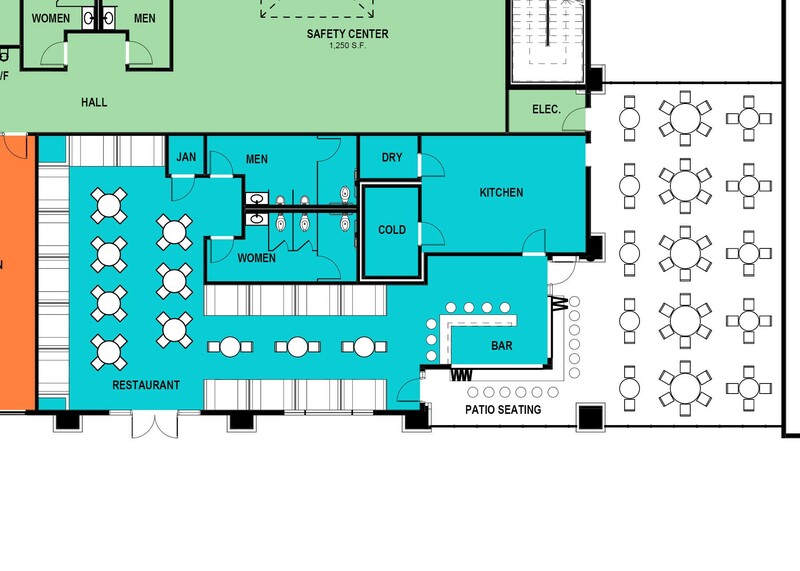 The center will include a warming kitchen for caterers, a bar, and an outdoor patio. This center will also have windows looking down into the museum, so guests will be able to see all the historic artifacts the Museum will have on display. All the money raised from Hall rentals will help pay for the buildings daily running costs.